We ship 5 days a week, if Royal Mail are running, so are we! All orders will be shipped same day on orders made before 4pm (Weekdays). Guarantees are on Royal Mails part, we will dispatch on time. Discreet and inconspicuous packaging on all orders. 1st Class Insured is 1-3 working day(s) yet is usually 1. Delivery is charged at £1.99 or £2.99 (Large) & requires no signature, It is posted direct through your door (providing it fits) with proof of postage. Next day delivery & Saturday delivery is a guaranteed fully tracked system that requires a signature on reciept. ALL ORDERS WITH US ARE 100% INSURED, TRACKING IS EMAILED UPON DISPATCH! SOME SPECIALIST ITEMS INCLUDING SEEDS WILL NOT HAVE A NEXT DAY DELIVERY OPTION AVAILABLE AT CHECKOUT, AS ON SOME OCCASIONS WE WILL NEED TO ORDER SEEDS IN, FOR A 2 DAY DELIVERY. If you wish to order outside the UK first select your currency at the top of any page (GBP, Euro, USD). Then place your order using an Visa, Mastercard or Bank Transfer. Ensure you select your country on payment pages. We operate an International Flat Rate Fee. 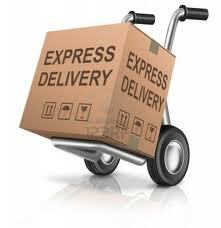 *International Shipping Fully Insured and Trackable charged at £9.50. All international mail generally leaves the UK within 1 working day. Unfortunately we cannot predict how long purchases will be processed through networks abroad. IMPORTANT: It is up to you the customer, not us, to determine whether any products you wish to order are legal in your country. Please contact us with any questions or queries at [email protected] We are here 10am-5pm Mon-Fri.